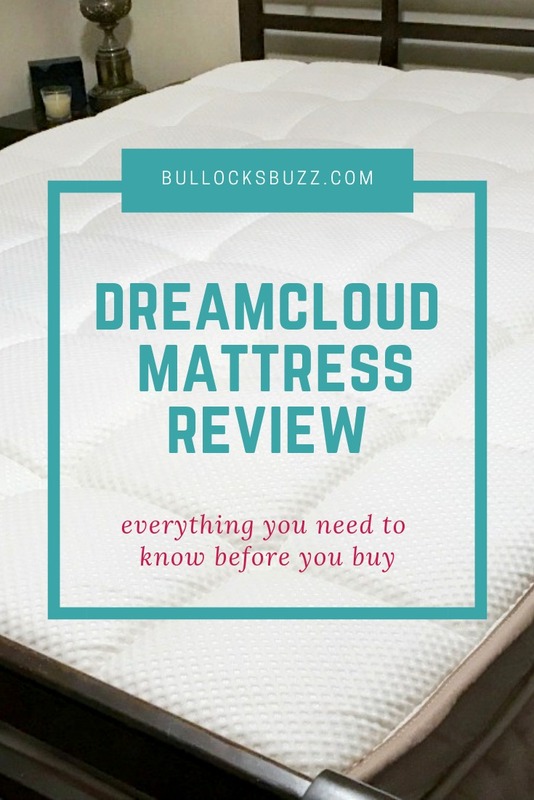 Today’s post featuring a DreamCloud mattress review is a sponsored post. Regardless, all opinions are my own. It’s a well documented fact that sleep is crucial to staying healthy and productive—and the quality of your mattress matters much more than you think. My husband and I have been searching for a comfortable mattress for years. No joke. We’ve tried several inner spring mattresses, as well as memory foam ones. No go. So when I heard about the new, affordable DreamCloud Luxury Hybrid Mattress, I was definitely intrigued. As I mentioned above, we’ve tried several mattresses, some inner spring others memory foam. And the results are always the same. After several months to a year, we are both suffering from back pain. Tossing and turning all night long, waking up unrested and achy. A hybrid mattress however, combines the best of both world…er…mattresses. And the DreamCloud hybrid takes it even further, combining both foam-encased micro-coils and with their eight layer hybrid mattress. 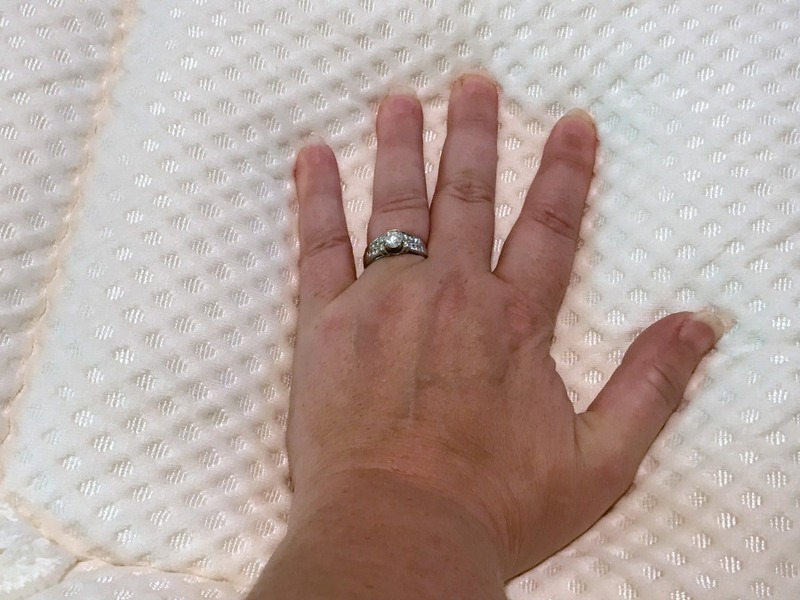 Here’s my DreamCloud mattress review. 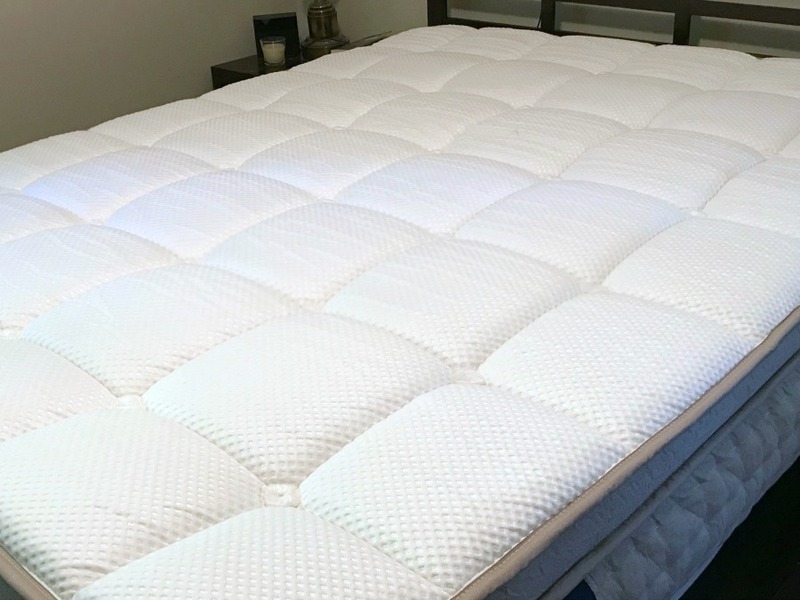 DreamCloud is a “hybrid mattress” which means it uses a combination of materials to provide a high level of comfort and support, while helping you sleep cool. 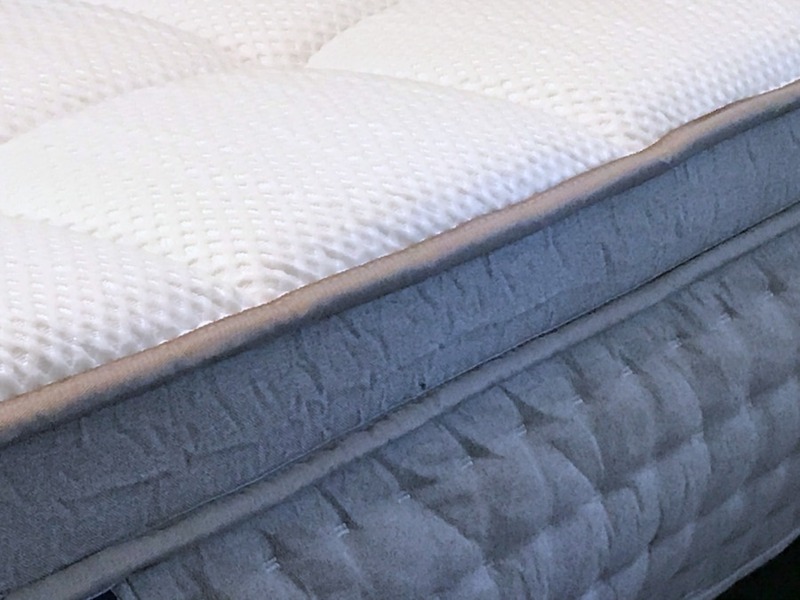 The mattress features 8 hand-crafted layers of dense memory foam and natural latex, including foam-encased hypoallergenic coils. These layers are designed to contour to your body shape and provide the support and comfort where need it the most. And, if you have a latex allergiy, there’s no need to worry. The latex layer is deep within the mattress, so you’re unlikely to be affected. Topping off those 8 layers is a dreamy, 2 inch thick, “hand-tufted” (aka hand-woven) cashmere blend cover. It is truly one of the softest and coziest mattress pillow-tops I’ve ever felt! On top is the TrueTufted™ Cahemere 2-inch thick pillow-top. Next, there is .5” of gel-infused cooling and supportive memory foam. Then 1.75” of super soft, quilted memory foam. This is followed by .5” layer of super premium, hypoallergenic natural latex. Next, there’s .25” of DreamPlush high density memory foam. After , a .5” of super dense memory foam. With all of those layers, their mattresses are pretty tall at 15 inches. DreamCloud mattresses are available in several sizes ranging from twin to California king. We ordered a Queen-size DreamCloud mattress and it actually arrived a couple of days earlier than the promised 8 to 10 days. Now, if you’ve ever gone to a store, bought a mattress and brought it home yourself, then you know it can be an absolute nightmare. So having one delivered, in a nice compact package, right to our front door was an absolute dream! Plus, delivery was 100% free. 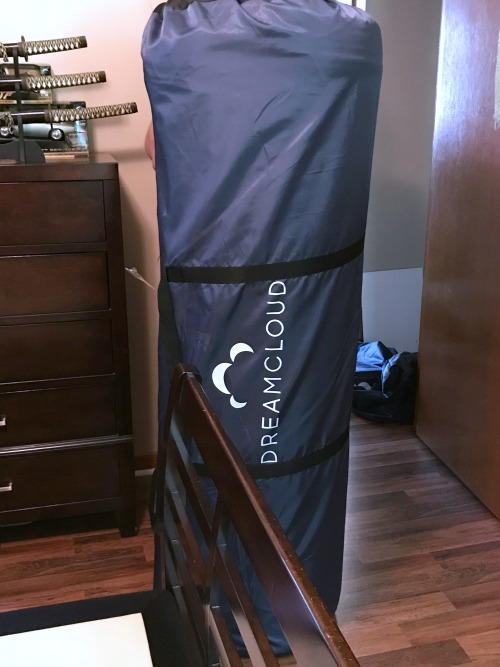 DreamCloud also offers a White Glove service where they will hand deliver your new mattress, set it up in whatever room you choose, clear up the packaging and even remove your old mattress. When the mattress arrived, it was packaged neatly in a compact roll. Now I’ve got to admit it was quite heavy while we were moving it to our bedroom, but once there the set up was a breeze. We removed it from the blue bag, then placed it on the bed. 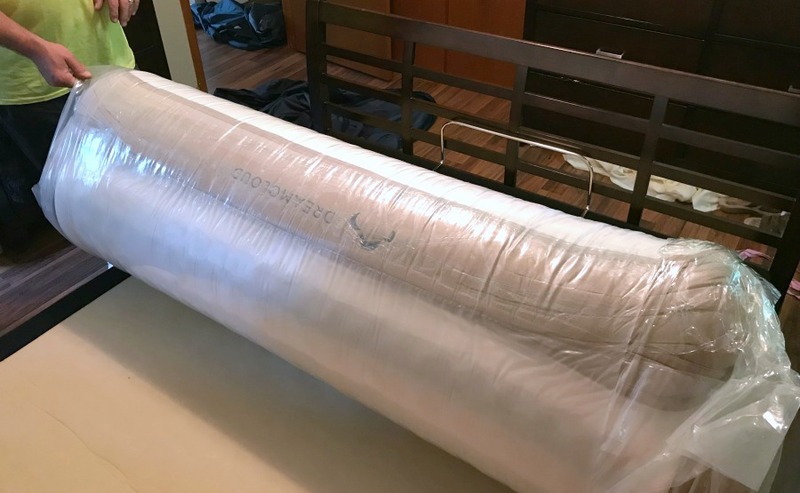 After unrolling, what had started out as a compact “roll” opened up easily and quickly became a full-size queen mattress. One that actually looked and felt like a mattress you’d buy at a store. We then used the included cutting tool to remove the plastic. One big concern people have with memory foam mattresses is the odor. We’ve had other memory foam mattresses and the chemical smell was pretty strong. But when we opened up the DreamCloud, it had NO odor! None. I was really impressed. Once opened, the mattress expanded quickly into it’s full size. And the handles on the sides made it easy to scoot the mattress into place. It looked so comfy, I could hardly wait for bedtime! Does DreamCloud Really Sleep Like a Dream? Climbing in bed, the first thing I noticed was how soft and cozy the pillowtop is. That 2” thick hand-tufted cashmere cover gives it a very luxurious and comfy feel. In fact, it was so soft and comfy, I was a bit worried the bed was going to be too soft for my liking. However, the remaining layers of the DreamCloud mattress actually provided plenty of support and firmness. And speaking of firmness, DreamCloud mattresses only come in one firmness level, and it’s pretty firm. I personally feel like it’s leaning towards the firmer-than-average side. So if you don’t like a firm mattress, then DreamCloud might not be the best choice for you. The next thing I noticed was the bounce factor, or rather the lack thereof. Until I got maried, I never realized just how much bounce a bed can have when someone rolls over. It used to wake me up every time my husband would change sleeping postions. With the DreamCloud, though, there’s very little movement transferred when one of us rolls over or gets in or out of the bed. This is because the coils are both individually-wrapped and foam encased. So pressure placed on one area won’t have the same domino effect you’d get with a continuous coil system. Plus, the many layers of memory foam work to absorb motion and keep the mattress stable. 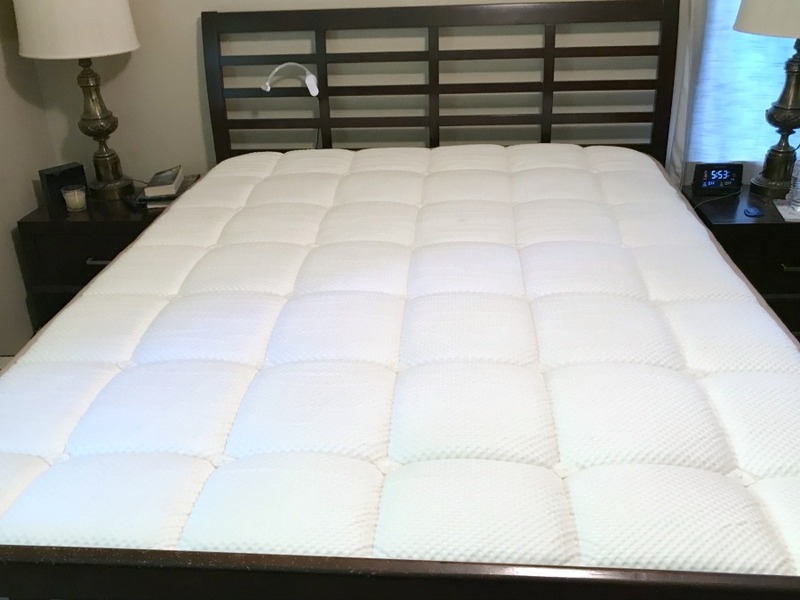 The DreamCloud mattress is also designed to give great edge support. So if you tend to lay close to the edge, or if you are stting on the edge, you have plenty of support. This also makes getting in and out of bed a lot easier, especially for those with mobility issues.  It’s Truly Like A Dream! 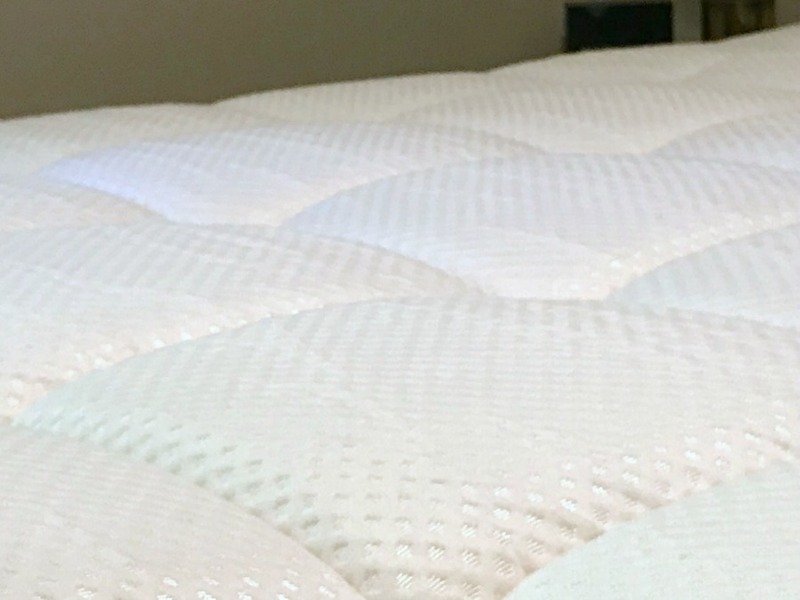 We’ve been sleeping on our mattress for almost six months now, and while the true test of time for mattress comfort and durability is much longer, so far our DreamCloud is holding up like a..well…like a dream. It still sleeps as comfortably as the first night we got it. Plus, I love how the DreamCloud always bounces back into its original shape. There’s none of those soft spots that tend to form in some memory foam mattresses. And it sleeps quite cool! Buying a mattress is an investment. And not just a finiancial one. You are investing in your health. too. As such, it makes good sense to really look into a mattress before you buy it. Trust me. Nothing is worse than paying good money for a mattress only to have it become incredibly uncomfortable six months later. With the DreamCloud mattress you don’t have to worry about that – at all. That’s because DreamCloud offers an incredible 365 Night Sleep Trial! Yep. You read that right. You get an entire year to decide whether or not the mattress works for you. And if you don’t absolutely love it, the company will remove the mattress and refund your money. No questions asked. Pretty cool, huh?! By the way, less than 3% of DreamCloud customers return their mattress. DreamCloud not only offers a 365 might trial, but you also get a pretty amazing warranty. While most mattress companies only offer a 10-15 year warranty, the DreamCloud Everlong Warranty guarantees the mattress construction and materials for the full life of use by the original owner! 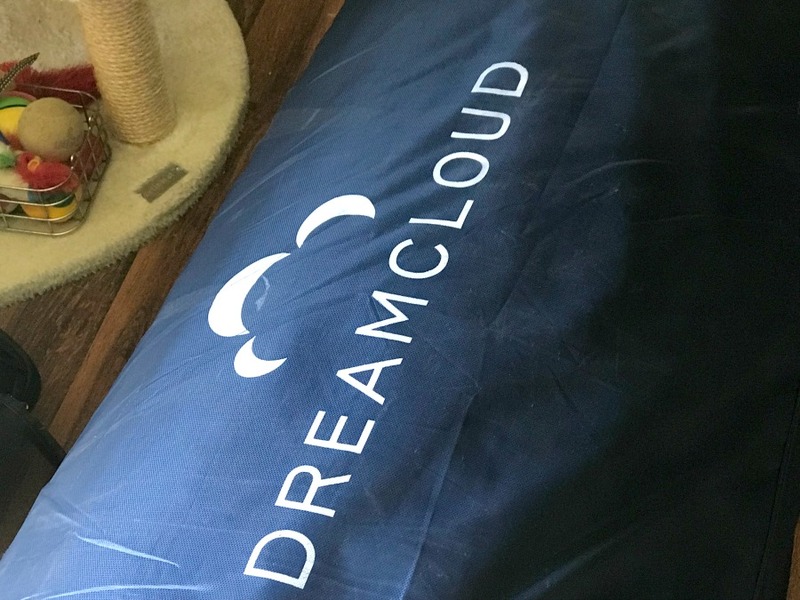 For the first 10 years of ownership, DreamCloud will replace your mattress with a brand new one at absolutely no charge to you if it’s defective in workmanship and materials. For years 10+ they will completely repair and re-cover your mattress, or replace it, and all transportation charges will be waived if a manufacturing defect(s) or a materials failure is confirmed to exist. While we are on the topic of money, DreamCloud mattresses are a lot more affordable than you’d think. Prices range from $799 for a twin to $1,499 for a Cal King. How are the prices so affordable for such a great mattress, you ask? Simple. Using the online business model, DreamCloud is able to cut many costs and pass the savings onto the customer. Plus DreamCloud is almost always offering some sort of coupon code you can take advantage of to increase your savings. In fact, you can get $200 Off DreamCloud Luxury Mattress right now! The luxurious DreamCloud mattress definitely proves that not all beds-in-a-box are created equal. 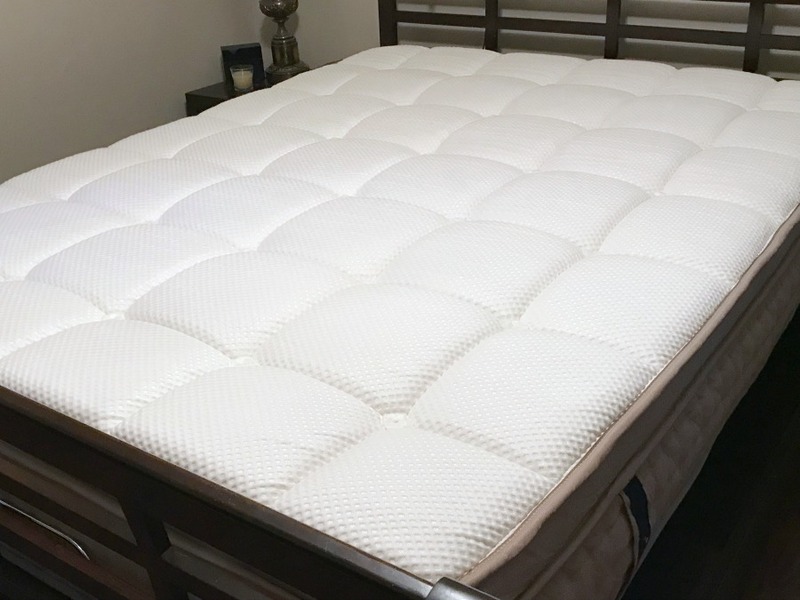 With it’s patent-pending support system, 365-night trial, and lifetime warranty, the DreamCloud hybrid mattress could be one of the most comfortable mattresses you’ve slept on. Still have questions? Check out their website to learn more about DreamCloud Luxury Hybrid Mattress.